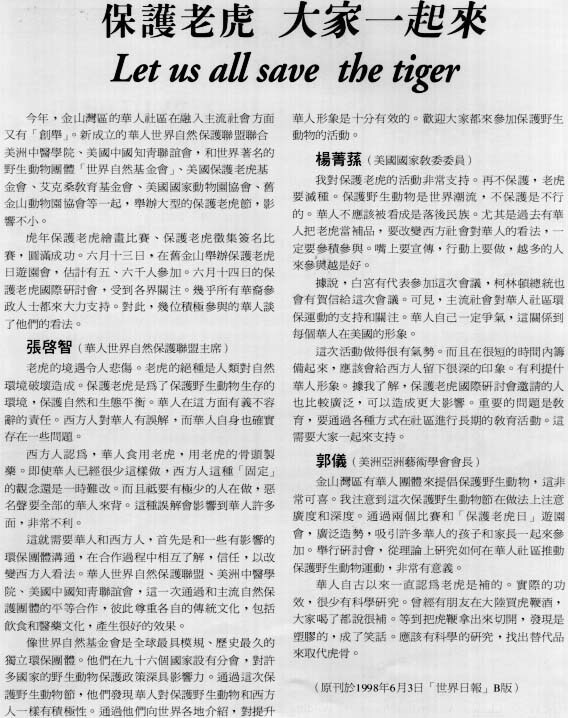 Let us all save the tiger! Previous Topic : A Pilot Program To Increase Tiger Conservation. Next Topic : Declaration of the Founding of Chinese Association for World Wildlife Conservation.